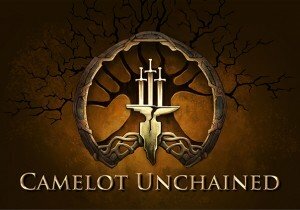 The latest update from CityState Games for Camelot Unchained offers plenty of information on the current state of alpha testing. However what likely may stand out most to those that have been kicking around the idea of joining the Builder Backers but haven’t yet felt compelled enough to become committed, is the mention of unsold Founder Tiers becoming available! While exact details and pricing are yet to be revealed, what is known is that this will ensure better deals for would be late backers of the game, particularly in the high end Founder Tiers. The official update post also mentions some changes to existing Builder Tiers that can only benefit new backers, as well as those that already purchased these changing tiers. Previously sold out Founder Tiers will not be reintroduced as well, maintaining the exclusivity of said packs. Check out the full details, as well as a teaser of a storybook style of future patch notes, in the official post. Streets of Red: Devil's Dare Deluxe Review!